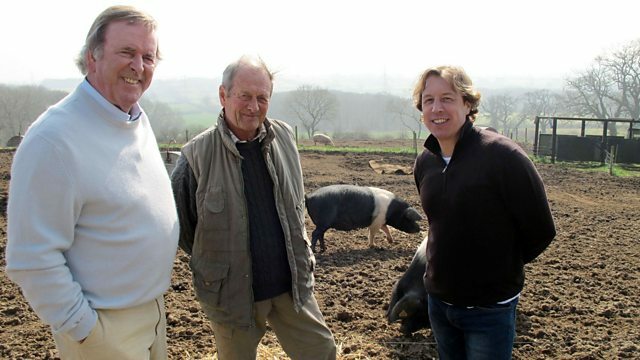 Sir Terry Wogan and cabbie Mason McQueen are in the ancient market town of Devizes where they're on the hunt for the finest flavours in town. Sir Terry Wogan and cabbie Mason McQueen are in the ancient market town of Devizes where they're on the hunt for the finest flavours in town. Their culinary curiosities spur them on to sample local foods including the famous Wiltshire cured bacon. Navigating the famous Calne locks helps them work up enough of an appetite to appreciate a homemade bread and butter pudding and they travel back in time to have a slice of Jane Austen's favourite cheesecake.